Join us for a weekly bush and beach kids program (8 sessions) where families gather to enjoy all the benefits that nature has to offer! 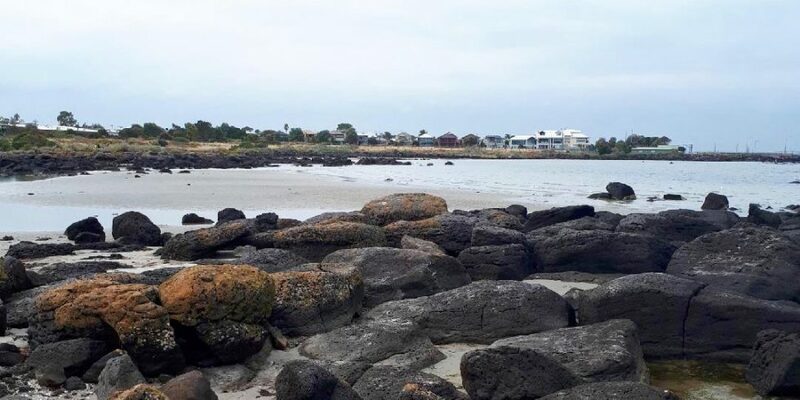 We’ll be starting the term at a new stunning beach location, Jawbone Marine Sanctuary in Williamstown where children will get to learn and discover fascinating and unique marine life. Then for the last month, we’ll head back to either Newport Lakes Reserve or Westgate Park. Our Bush/beach kids program for children aged 3 -6 years is specifically aimed at developing and learning new skills through bush crafts, Indigenous/Australian stories and educational bush walks that inspires a develop love and deep connection to nature and encourages the use of gross motor skills through climbing, balancing and building. We investigate a different topic each week like dragonflies, seeds, frogs, sticks, feathers, nests etc. Each term a different theme too from Spring Changes, Life Cycles, Indigenous stories, local history and culture, ecosystems etc. The children will also be introduced to the use of tools in an age-appropriate and safe environment. Our Newport lakes bush kids program is led by Kirsti, an experienced early childhood educator who has extensive experience working with children and supporting families from diverse backgrounds. Kirsti has also is also a level 1 Forest School Leader. Newport Lakes Reserve is the perfect inner west – city location for our bush playgroup as it’s home to an abundance of birdlife with its beautiful wetlands and lake. Our program has been developed to give your child optimum opportunity to build their gross motor and physical skills through climbing, balancing, walking and fine motor skills during our craft activities. Research clearly shows that the more time your child spends in nature, the better they are prepared for school, both physically and emotionally. It’s also a time for parents to disconnect from their busy lives (and technology) and re-connect with their child in nature. This time is as much for you as it is for your child. Our bush kids program brings together a community of like-minded parents who are supportive and welcoming. It’s an all weather outdoor program so you need to make sure you bring appropriate weather protection and clothing. Children must have closed footwear when walking in the bush, sun hats, sunscreen, wet weather gear, plenty of snacks and water and a change of clothes. Our playgroup will only be cancelled in the event of an extreme weather warning; fire, storm, high temperatures and strong wind. Ages: 3 – 6 years (siblings under 14 months are welcome to attend for free). *Parents are responsible for their children at all times.